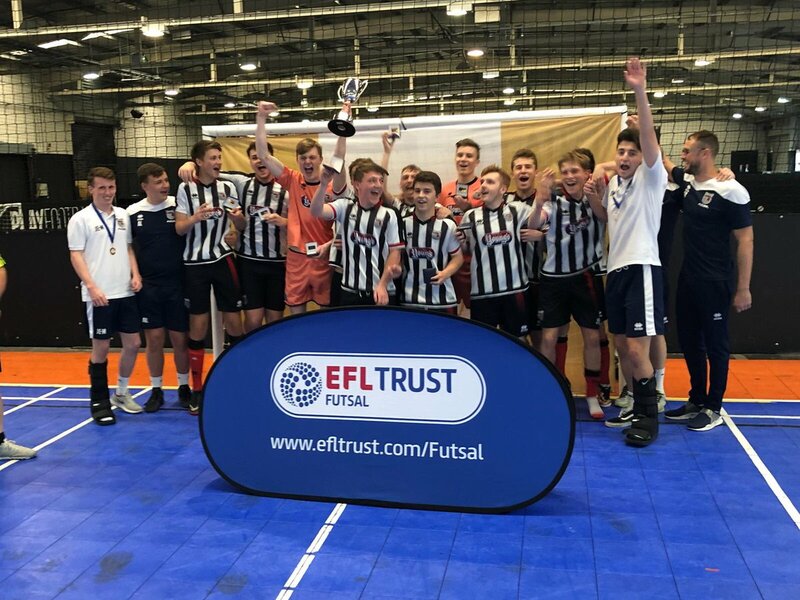 The Mariners under 19 futsal team got off to a great start in their opening games of the EFL Trust National Futsal Cup. The competition has become a favorite of the young town side having lifted the trophy the last 3 years in a row. This year the format has changed with the competition going National from the start as oppose to regional in the early rounds. Town have 2 sides in the competition this season. The A’ Team were drawn against Fleetwood, old rivals Cardiff (last years National League finalists), Mansfield and Southampton (last years National Cup finalist) – a tough group with arguably 3 of the favorites in up against one and other. Town U19s B were drawn in group E against Blackpool, Newport, Port Vale and Southend United. In group D Grimsby Town A’ got their title defence off to a flying start, with a 5-4 win over a strong Southampton outfit. In a game that went down to the wire, goals from Usher, Carver-Mill, Willets, Paddison and Harding were the difference. Southampton were unlucky not to take a point from the thrilling encounter and almost drew level with the last kick of the game just outside the Mariners goalpost. The Mariners then eased past Mansfield winning 5-0. Group E was more straightforward with the B’ team recording 2 convincing wins; 14-0 vs Port Vale and 13-1 vs Southend. With both Mariners teams sitting top of their respective groups 3 points from their next 2 group games should be enough to see them into the last 8 of the EFL Trust National Futsal Cup with top of each group and the best 3 runners up qualifying for the quarter finals.